KVD early morning rampage key to lead. KVD on the prowl for 25th win. 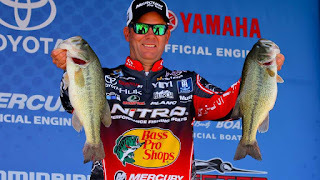 After catching his heaviest limit of the tournament on Day 3, bass fishing superstar Kevin VanDam took over the lead at the 2018 Academy Sports + Outdoors Bassmaster Elite at Grand Lake O’ the Cherokees. VanDam's 22 pounds, 4 ounces was his third exceeding the 20-pound mark — a benchmark in professional bass fishing -- the only angler to do so. His three-day total is 64-13 gives him a 3-4 lead heading into the final round of the four-day Elite tournament. VanDam is looking to add to his record 24 titles on the Bassmaster tournament trail, including four Bassmaster Classic wins and seven Toyota Bassmaster Angler of the Year awards. With $100,000 on the line for first place, and win No. 25 for the Kalamazoo, Mich., resident, VanDam is confident his fishing areas are only getting better. The field will be cut down to the Top 12 anglers with VanDam leading them out on Championship Sunday. Most anglers aren’t usually willing to reveal their tactics until the tournament is over, but if the world’s greatest bass angler is confident, history indicates that big things will happen. And that’s what makes him the most feared angler on the planet. Bassmaster rookie Roy Hawk of Lake Havasu City, Ariz., finished in second place at the first tournament of the year on Lake Martin in Alexander City, Ala.
That was his first appearance on the Elite Series. Today he weighed 24-12 to push is three-day total to 61-9. Hawk will be starting Sunday’s final round of competition in second place yet again. Hawk said he was implementing several different techniques, and one of those in particular was catching the larger fish. After leading Friday’s second round of competition, Brandon Lester of Fayetteville, Tenn., weighed 17-6 today and fell back to third place with a three-day total of 60-15. A late-day cull helped keep Lester in contention, and it revealed a potentially new pattern. He plans to begin Championship Sunday in that spot. Rounding out the Top 5 are Randall Tharp of Port St. Joe, Fla., with 59-13 and Seth Feider of Bloomington, Minn., with 58-0. 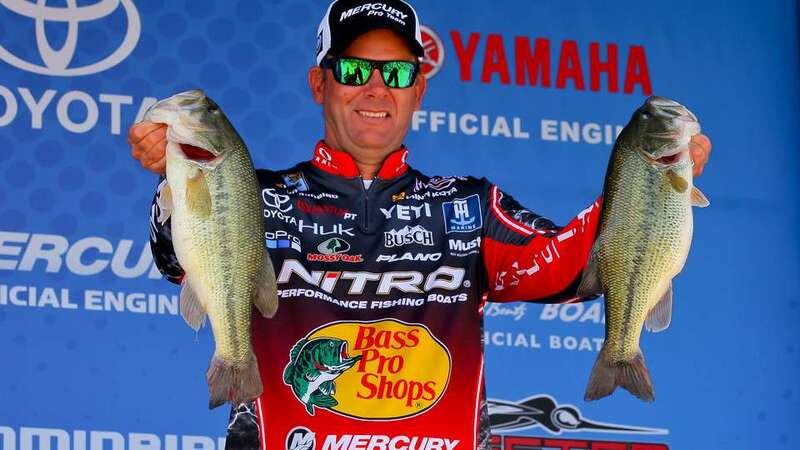 Alabama’s Bill Weidler is currently leading the $1,500 Phoenix Boats Big Bass Award, thanks to a heavy 7-3 largemouth bass he caught during Thursday’s opening round of competition. Championship Sunday takeoff will begin at 6:15 a.m. CT out of Wolf Creek Park, and the final weigh-in is scheduled in the same location beginning at 3 p.m.